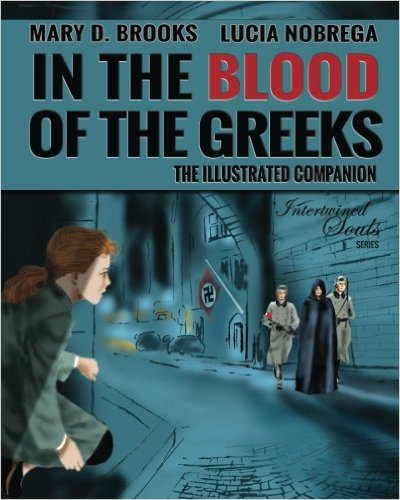 In The Blood of the Greeks The Illustrated Companion is about the events written in the award-winning novel “In The Blood Of The Greeks”. 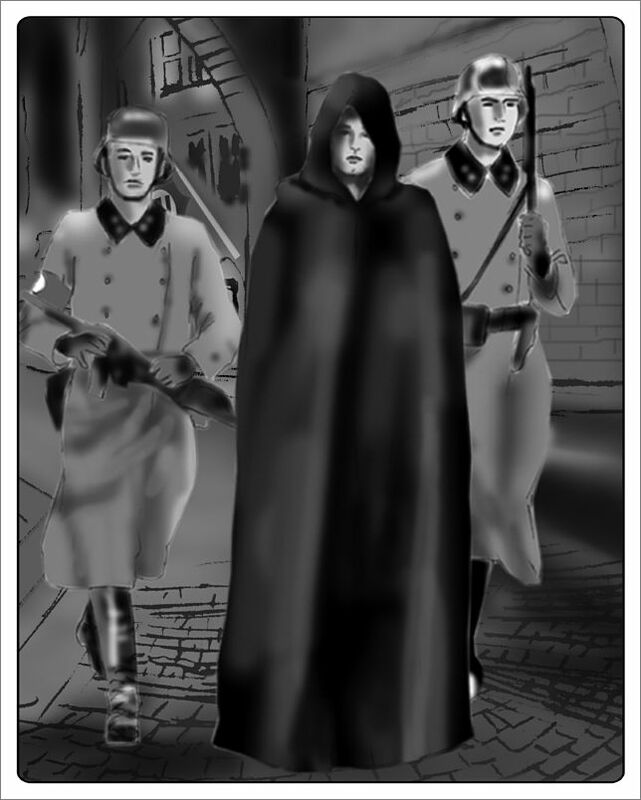 It’s a merging of fiction, coloring images and real historical accounts of the events depicted in the novel. 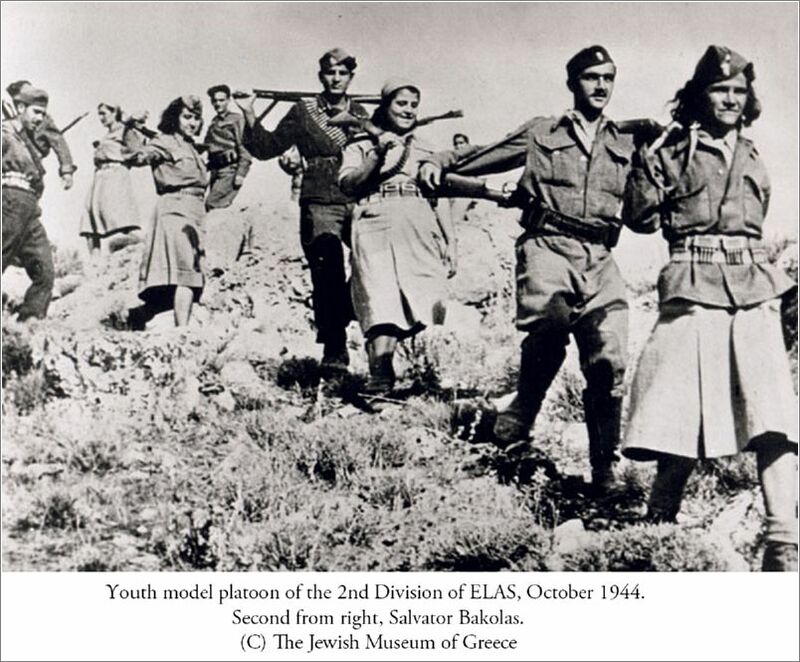 In Nazi-occupied Greece, Eva and Zoe — one a German officer’s daughter, the other a young Greek woman filled with fury — should be enemies but they come together in an unlikely union to save the lives of Jews targeted by the Nazis. 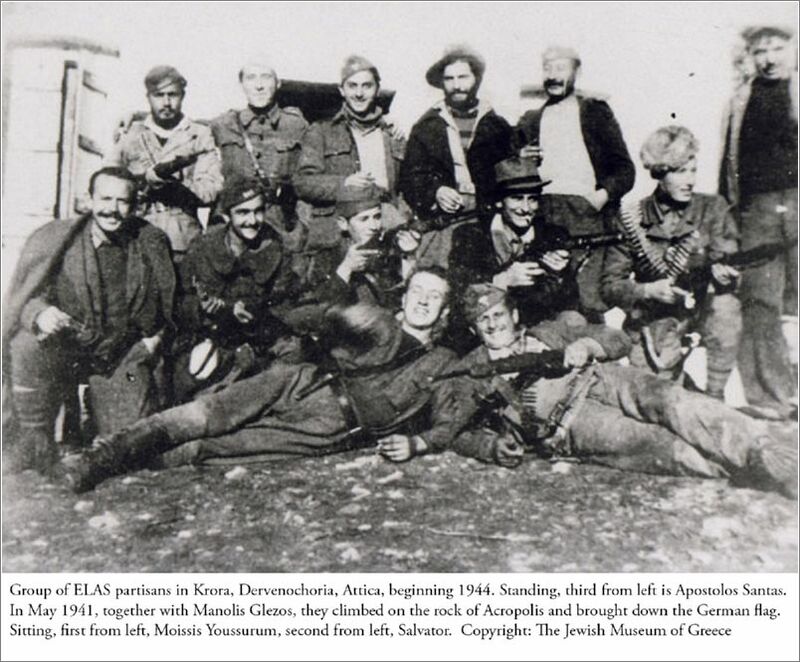 Real life heroes of the Greek Resistance, life in war-torn Greece and the Jewish fight for survival are portrayed through illustrations, images and real accounts. 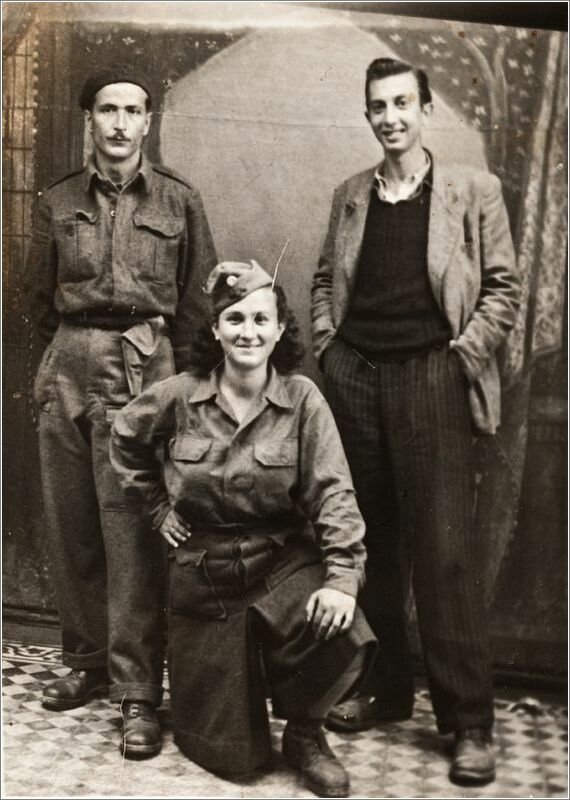 Featuring War time photography from the Australian War Memorial, the New Zealand War Memorial (The Alexander Turnball Library) and The Jewish Museum of Greece. Brazilian artist Lucia Nobrega’s illustrations of the characters of Eva Muller and Zoe Lambros and other characters bring the novel to life. 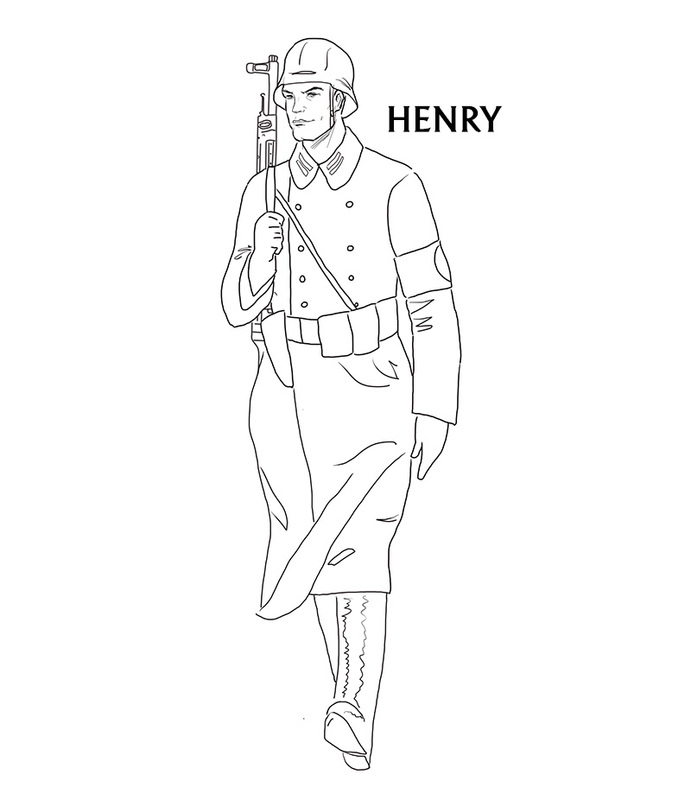 Part coloring book, part history book. 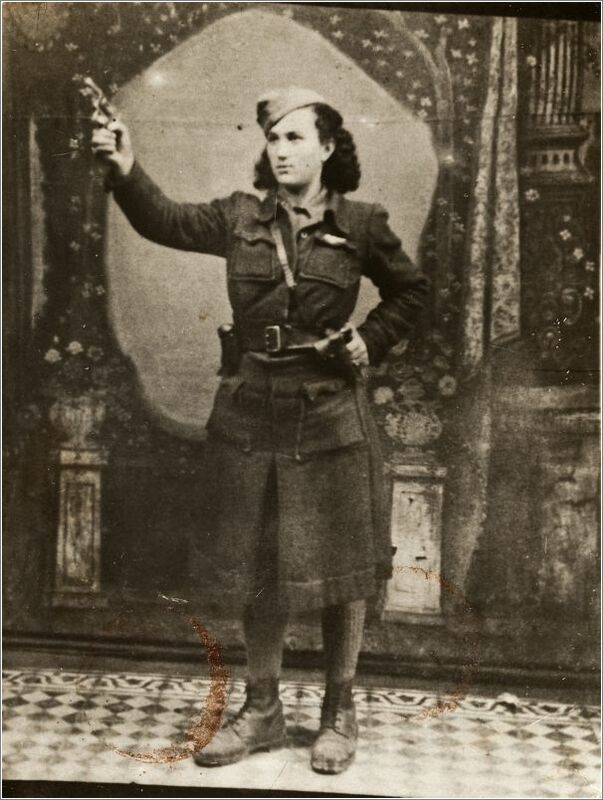 Discover the history behind the novel “In The Blood of the Greeks” and the Greek Resistance against the Germans and the fight to save Jewish lives. In The Blood of the Greeks: The Illustrated Companion is available in print! Click here to order! 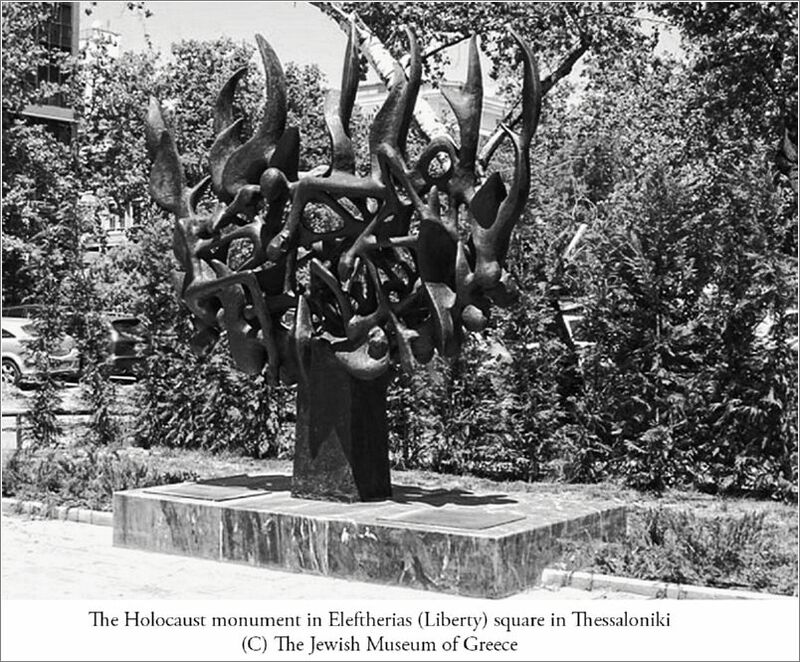 As Featured In The Jewish Museum of Greece! 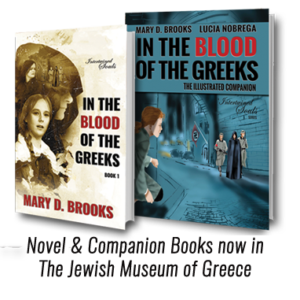 I’m deeply honoured and thrilled to have two of my books – the novel and the companion book be featured in the Jewish Museum of Greece. 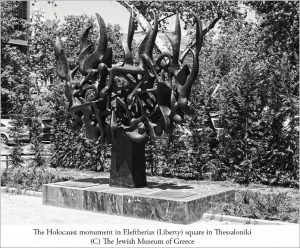 In 2016 The Jewish Museum of Greece added In “The Blood of the Greeks” and the companion book “In the Blood of the Greeks The Illustrated Companion” to their collection on Greek Holocaust during World War II. If you are in the area, why not pop over to Nikis 39, Athina 105 57, Greece and see their collection of priceless documents, images and video about the Greek Jewish Resistance and the way the Greek Jews fought back against the Germans and how their compatriots protected them. 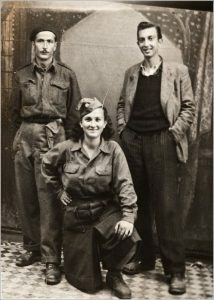 Pick up a copy of In the Blood of the Greeks and the Companion Book – historical fiction and the companion book features actual wartime photography, illustrations, real life accounts of Greek resistance and heroism. 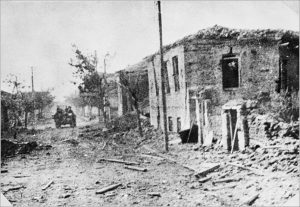 These are just a sample of over 60 images: In addition to the illustrations drawn by Lucia Nobrega, war time photography from the Australian War Memorial, the New Zealand War Memorial (The Alexander Turnball Library) and The Jewish Museum of Greece. 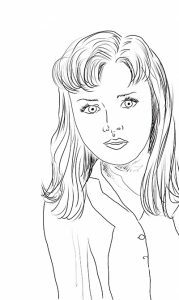 Brazilian artist Lucia Nobrega’s illustrations of the characters of Eva Muller and Zoe Lambros and other characters bring the novel to life. 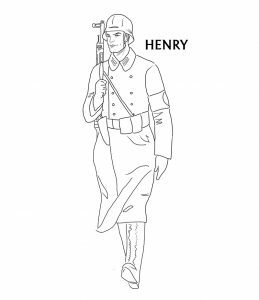 Part coloring book, part history book. 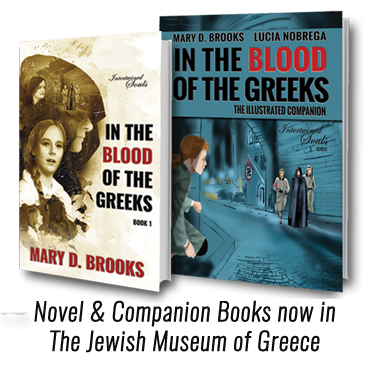 In The Blood Of The Greeks – The Illustrated Companion: Intertwined Souls: Eva and Zoe Companion Series, Volume 1 is an educational historical companion volume to the Intertwined Souls Series written by Mary D. Brooks and illustrated by Lucia Nobrega. 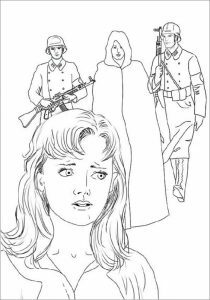 Part of the book is in a graphic novel format, which tells the early story of Eva and Zoe, particularly when they first met in 1942 during the German occupation of Greece, and it follows the plot of the first novel in the series: In the Blood of the Greeks. 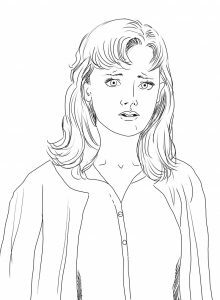 Brooks also includes Nobrega’s pen and ink drawings throughout, which are provided for use as a coloring book, and she invites the reader to make copies of those images for further artistic/recreational exploration. The final section of this Companion Guide is a non-fiction historical work detailing the occupation of Greece by the Germans and the role the Greek Resistance and the Australian forces played during WWII. 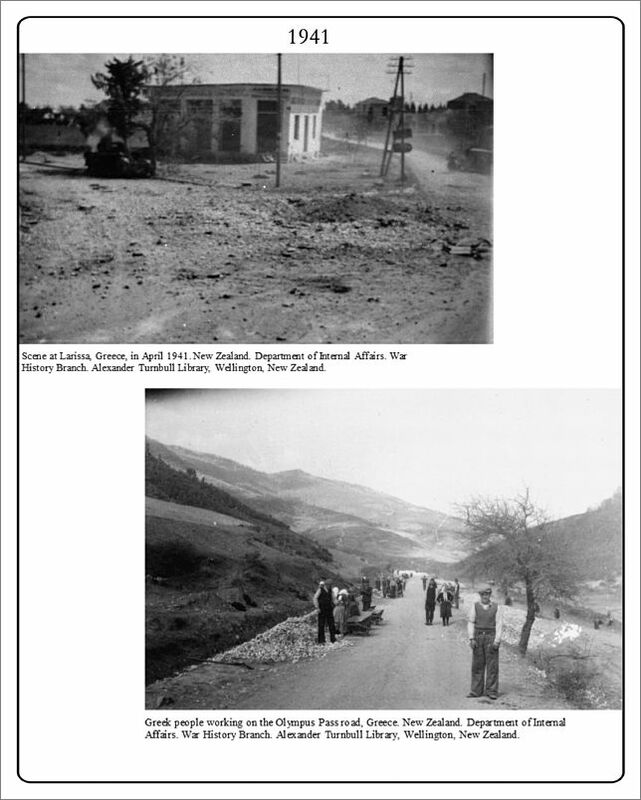 Brooks includes a number of archival images from the Australian War Memorial and other sources. I was fascinated by Mary D. Brooks’ educational historical companion volume. While I’ve not yet read her first book in the series, In the Blood of the Greeks, I’ve read a number of the other novels and novellas in the series, so seeing this graphic presentation of the early days helped answer some of the questions I had about both Zoe and Eva’s pasts and shared history. I’m a fan of Lucia Nobrega’s artwork from the Eva and Zoe books I’ve already read, and I loved seeing the panels she created for this volume. 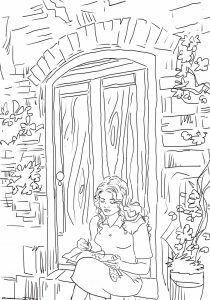 The pen and ink drawings are inspired, and the idea of including coloring book images is brilliant! 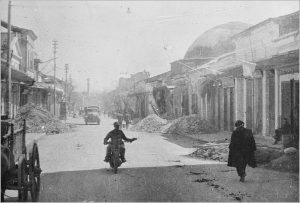 I’ve long been a student of both world wars, but didn’t really have much of a grasp of the impact the Second World War had on Greece and its inhabitants. 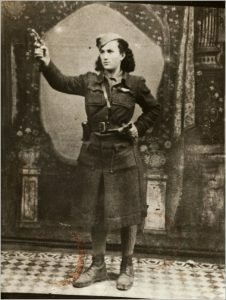 The historical section of this piece is concise, enthralling and very well-presented, especially those portions which pertain to the women of the Greek Resistance. In The Blood Of The Greeks – The Illustrated Companion is a creative masterpiece, and it’s most highly recommended. 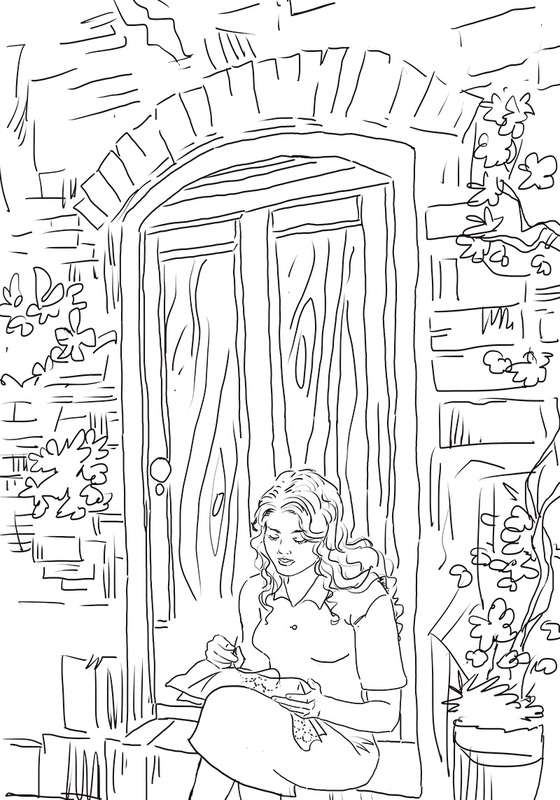 This book was so many things, and yet they all seemed to mesh together so well (although, I will say that the first blank page that I came to in the PDF version of the book I was sorta of like, ‘wait… what’s going on… oh yeah… coloring…’ Heh heh). 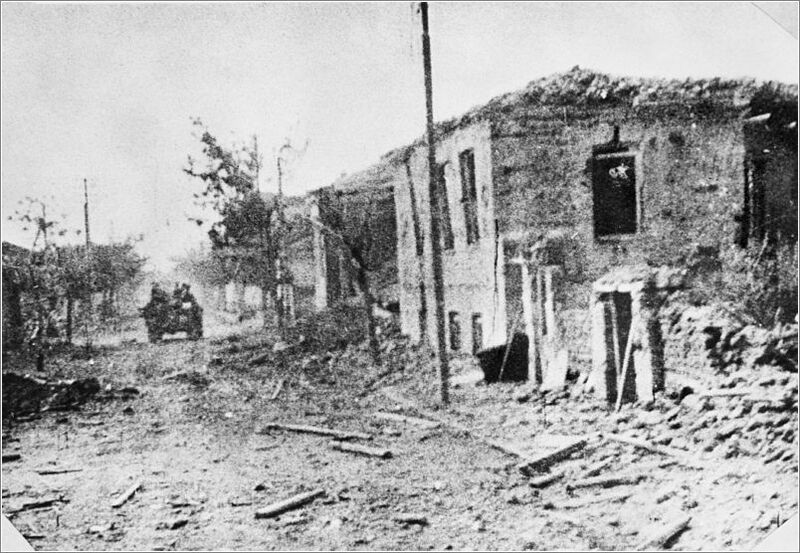 I grew up in the United States and for whatever reason when we learned about World War II we learned very little about anything to do with the countries on the Mediterranean and their parts in the war (Italy and Greece, Etc.) 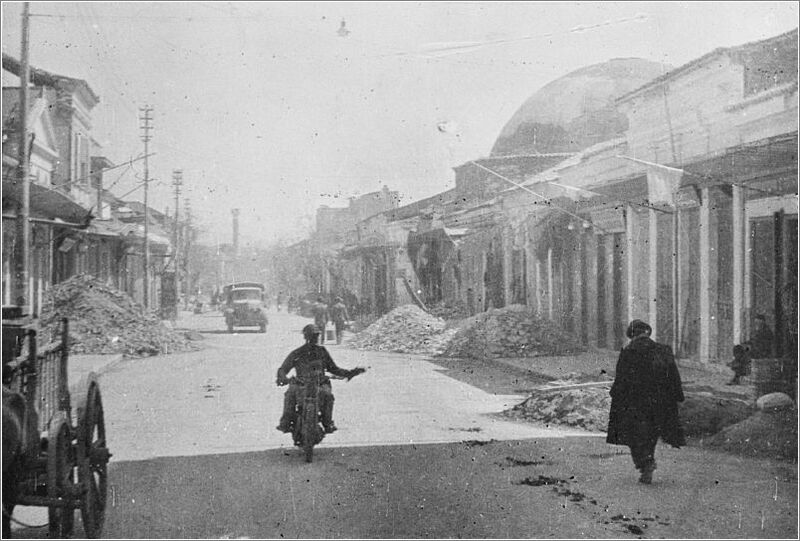 Honestly, until I read the novel that this is the companion to I sort of had no concrete idea that anything like this was going on in Greece. So, needless to say, I really liked learning about the history of Greece and the Greeks in World War II. It was all new information, and I thought that it was presented in a way that was not overwhelming at all. Just the right amount of info in each part of the book. I liked the excerpts a lot too. I had read In the Blood of the Greeks before reading this book, so reading those small passages was like going back into the book. They were some of my favorite passages at the time that I read the novel, and I think that they could even work if someone wanted to get this before they got the whole novel, or alongside getting the whole novel. It gives someone who has never read the Novel In the Blood of the Greeks just a tantalizing hint into the awesomeness of the novel. And finally (but not least), the Art. 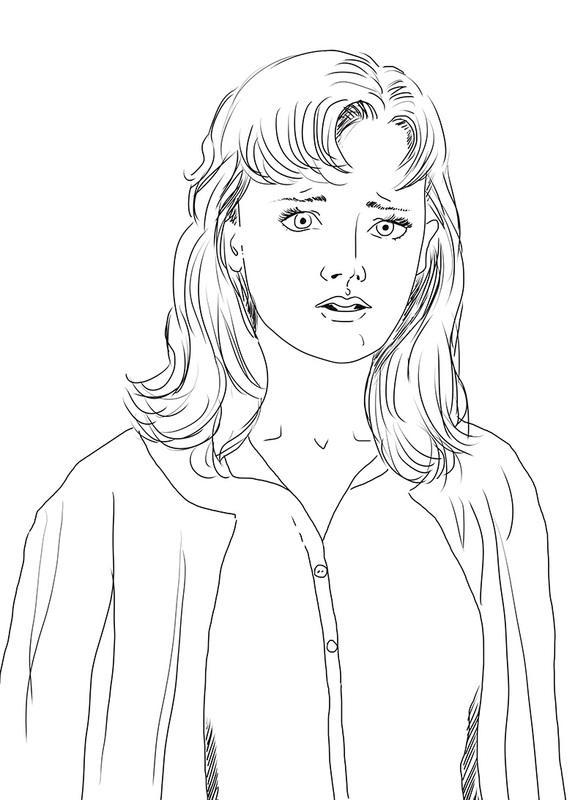 Oh man… the stuff to color was great. 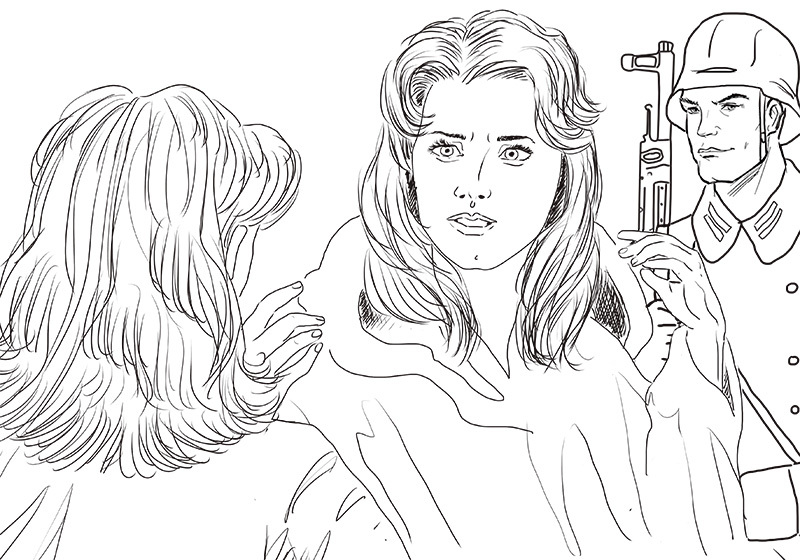 As was the already colored in Art. I’ve loved Lucia Nobrega’s stuff forever, but all of the art in the book was just great. 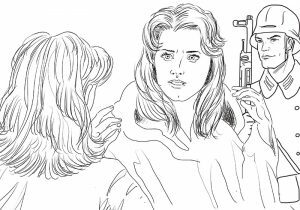 Usually when I read a book and then see someone else’s art for those characters I give that art the side eye, because usually I’ve pictured the characters vastly different. But not with the art for the Intertwined Series. Lucia and everyone else has always gotten these characters spot on for what’s in my head. And I find that totally awesome! 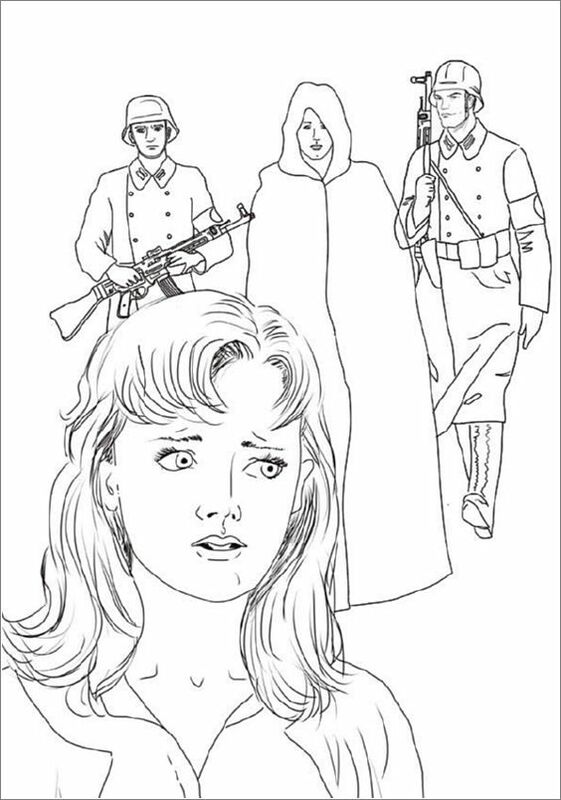 This is a great companion to the novel, you can have some relaxing fun coloring, or read some history, or some of the excerpts, or do all three. A definite recommendation for those who like art, those who like the Intertwined series, or just those who need more coloring materials too. 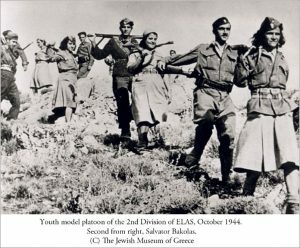 In The Blood Of The Greeks is beautiful story about two women coming from very different backgrounds who must learn to work together in order to save the Jews from occupying Nazis. 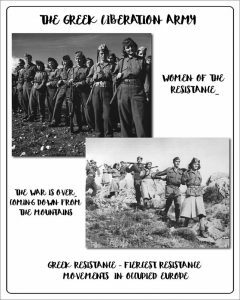 In this companion book you can find summarized info about key characters and places alongside very interesting informations about topics from the book as are Conversion Therapy, Greek Resistance during World War II, The Jews history in Greece, Women in the Greek Resistance and others. 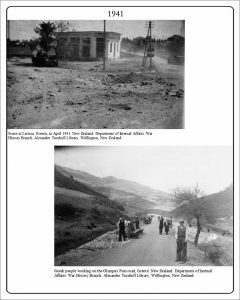 This all is interlaced with excerpts from In The Blood Of The Greeks, photographs from Intertwined Souls Film Promo, historical photographs and beautiful artworks by Lucia Nobrega. 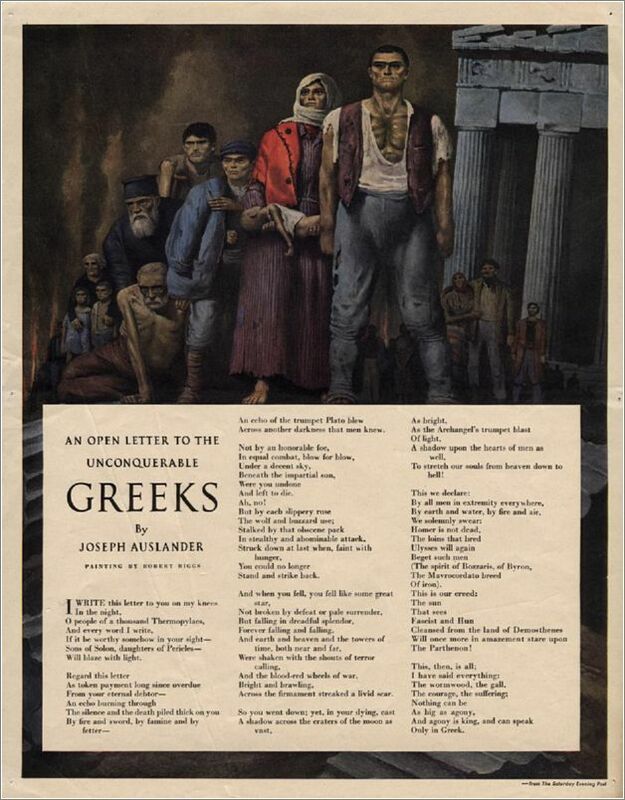 It was very interesting to read various historical facts and it enriched the story from In the Blood of the Greeks. I loved seeing pictures of all those characters. It helped me to envision the scenes and immerse into the story even better. 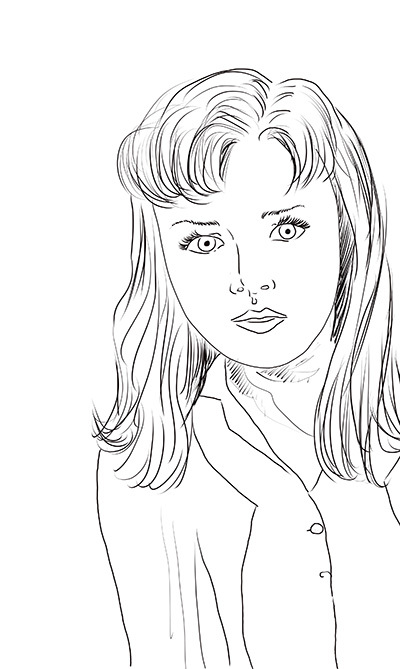 The book has also several pictures for coloring which I can`t wait to sit to and start working on. Only thing I would change is that at least part of the pictures I would like to see in color, not black and white. 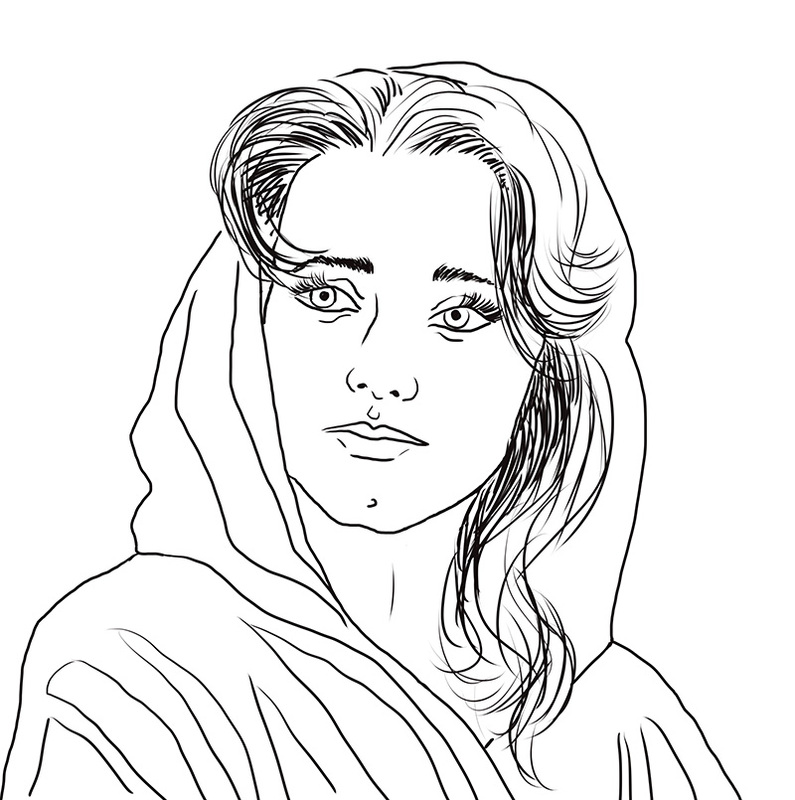 I love Lucia`s artworks and would be great to see at least two or three in all their beauty. 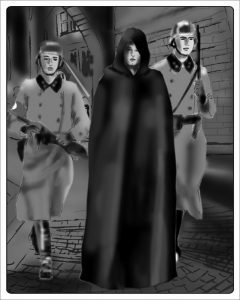 Anyway if you are a fan of first book from Intertwined Souls series and would like to know more about historical background of the story, the Illustrated Companion is for you. I had read “In the Blood of the Greek”, the first novel about Eva and Zoe first. And i think it’s the best way to connect to this illustrated book. I must say that i love all the books of the interwined souls serie. 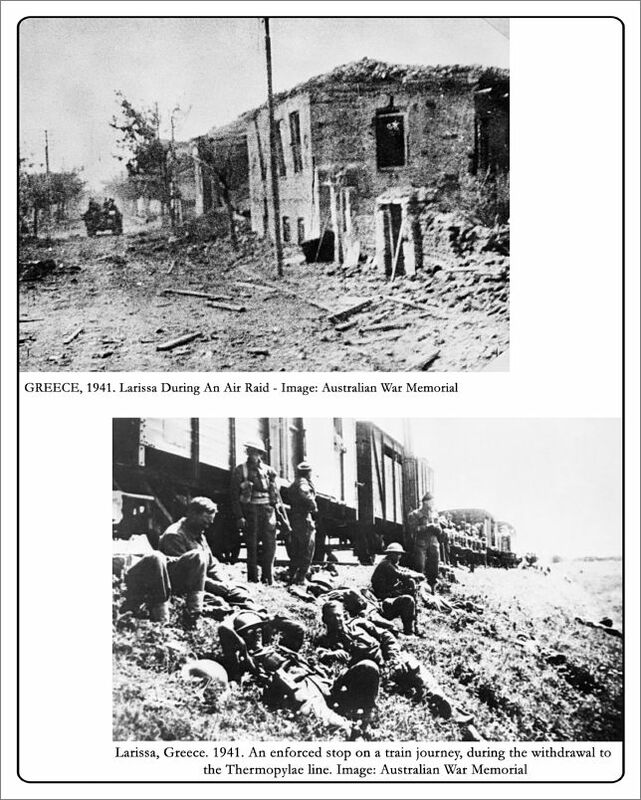 And the illustrated book is a perfect addition with the well researched information about the time in Greece during World War II and Australia later. I had know a lot about this time before but the connection between parts of the fictional life of Eva and Zoe and the brutal reality makes it so special. 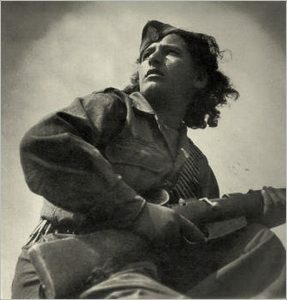 The writing of MaryD, the fitting pictures of this time and the fine Artwork of Lucia is worth to buy this book. You will not disappointed.